Its a good news that Canon is finally preparing announce new mirrorless camera. According to a interview published by Japanese news magazine ACSII.jp Canon executive Yagi Koichi said that Canon is working on new mirrorless system cameras and they will be announced on Q3 or Q4 of 2016. 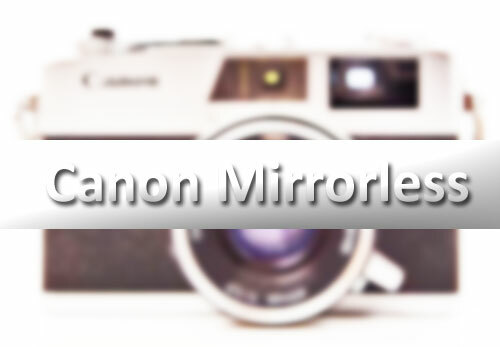 Canon mirrorless machine rumor is not new We have already seen a bunch of Canon Fullframe lenses and camera patents , take a look at Canon Fullframe Mirrorless Lens Patent, Canon Working on 600mm DO Lens for its APS-C Sensor Based Mirrorless Camera look here, we have also published the post that Confirmed – Canon Working on Fullframe Mirrorless Camera. The new upcoming Canon mirrorless camera is proof the mirrorless technology is not a joke. I don’t own a mirrorless, but I can truly say that some put out outstanding image quality. Sony put out the scare with mirrorless technology. The positives of mirrorless outweigh the negatives. I am glad all the camera manufacturers are accepting this new concept in cameras. I believe this new Canon mirrorless camera will attract new beginning Canon customers interested in the new technology. This camera better be a success. Sony is already in the driver’s seat.